Dr. Pratt is pleased to offer Ankylos implants. 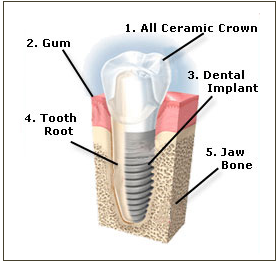 Most dental implants can be placed and restored in the office. For cases of compromised bone or sinus lifts, these are referred out to a specialist. Following implant placement, a temporary is made until the final crown, bridge, or denture is completed. Implants are covered by most insurance because of longevity and reliable long-term prognosis.